Item # 288835 Stash Points: 1,295 (?) This is the number of points you get in The Zumiez Stash for purchasing this item. Stash points are redeemable for exclusive rewards only available to Zumiez Stash members. To redeem your points check out the rewards catalog on thestash.zumiez.com. 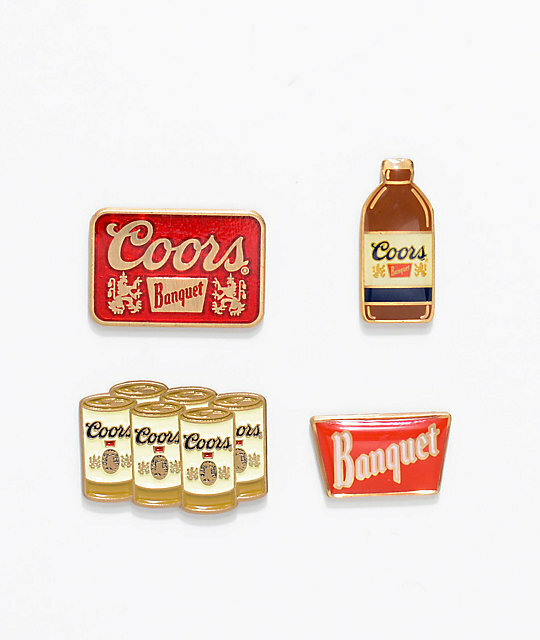 The Flight Coors Pin Pack from Brixton is a set of 4 premium enamel pins featuring logo imagery from Brixton and Coors Banquet. Flight Coors Pin Pack from Brixton. Red, brown, and off white graphics. All sizes 1" diameter and smaller.